Pattern recreation is something I am learning more about every day. I started out by recreating blocks that I have seen elsewhere for my own use. 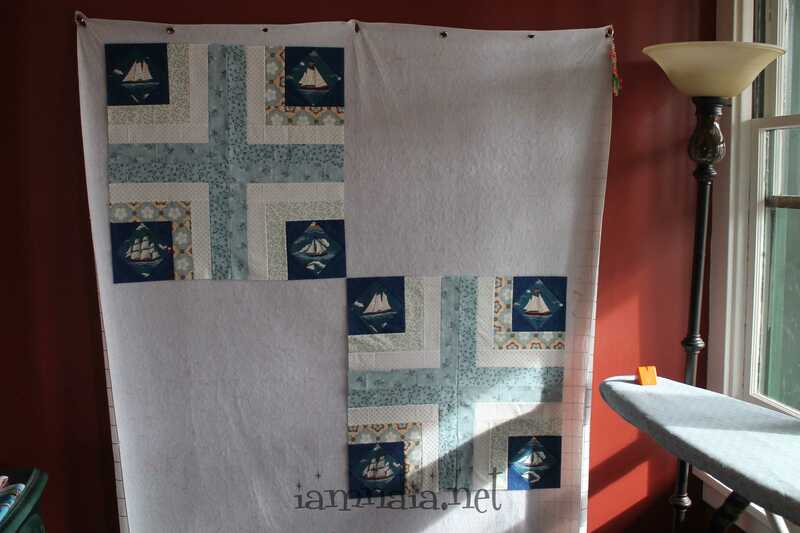 From there, I started trying to fit the blocks into a quilt. 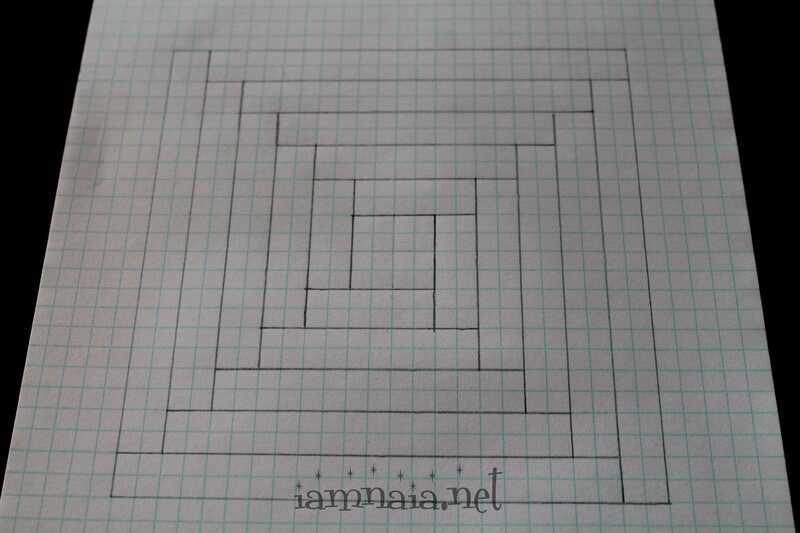 And now, I am actually creating quilts – from start to finish – with just my graph paper. I did use an online calculator to try and figure the yardage required for each step of a quilt I am creating. Now I use a hand-held calculator and love it so much more! 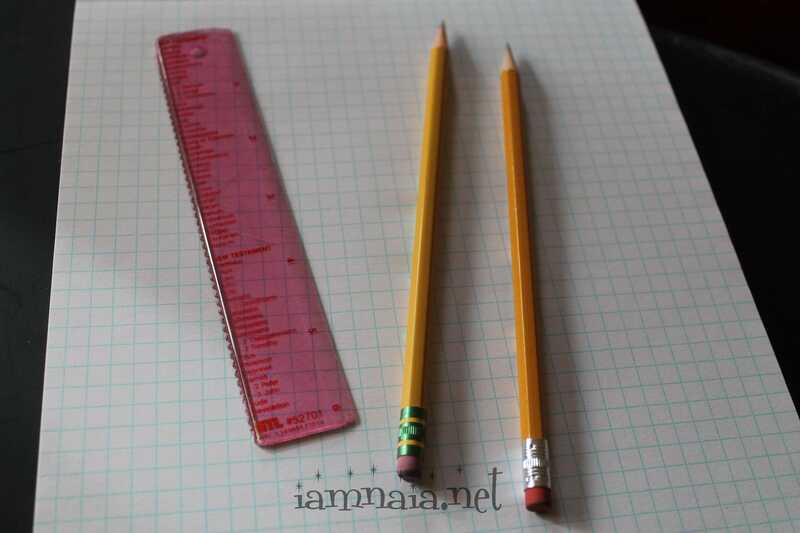 I start with graph paper, a small ruler and a couple sharpened pencils. 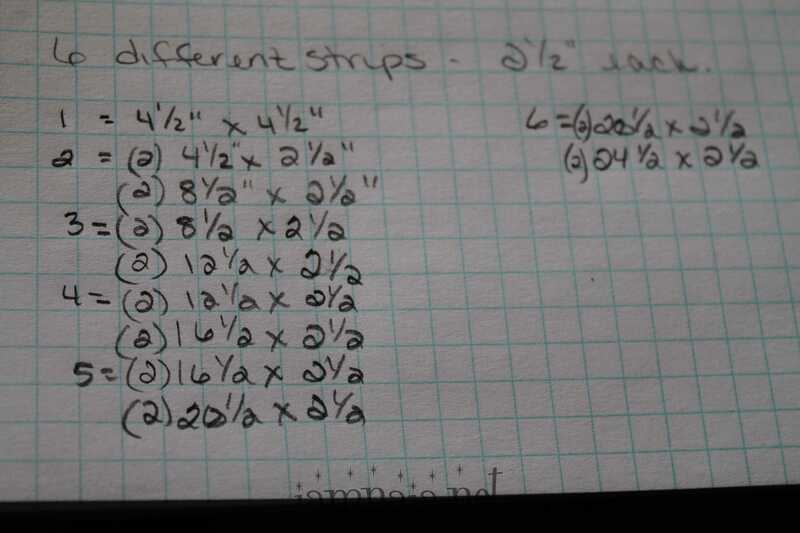 Sharp is essential because it keeps the lines nice and small on the graph paper and they don’t blur over, confusing the other lines. From this previous post, I knew I had to fill a 24″ x 24″ section – two of them, actually. 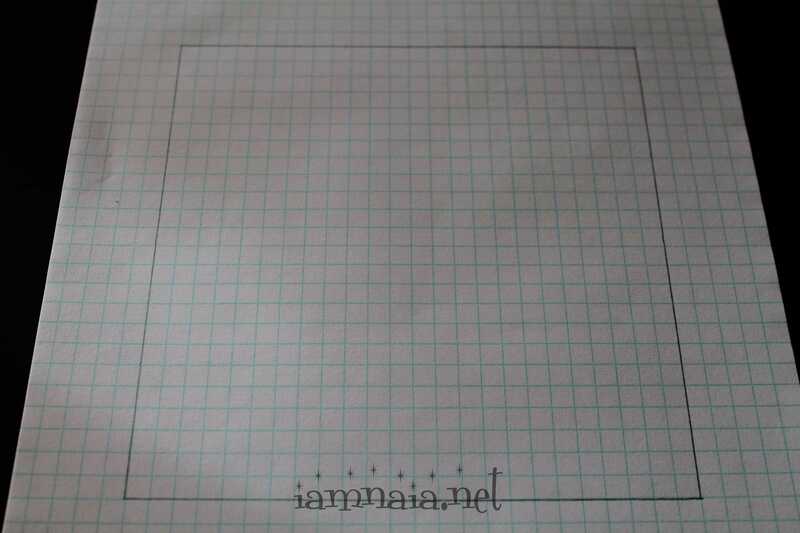 I drew out a 24″ x 24″ square on my graph paper. I would typically make each square equal more than one inch but, since this was going to be a new design, I wanted all the space I could to get it drawn up. Because the first part of this top was a half Log Cabin, I decided to try for another of the save variant. 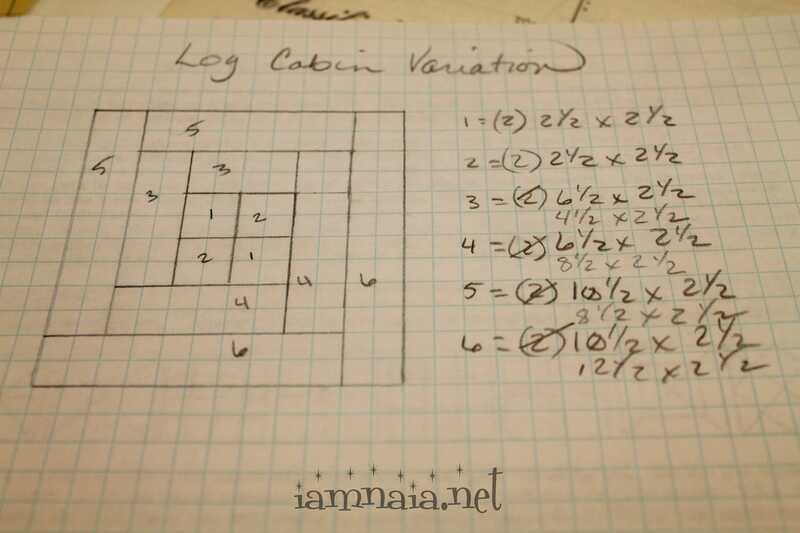 I drew out a log cabin that would encompass 24″ square. The next step would be to label each strip. A typical Log Cabin would have alternating dark and light colors. 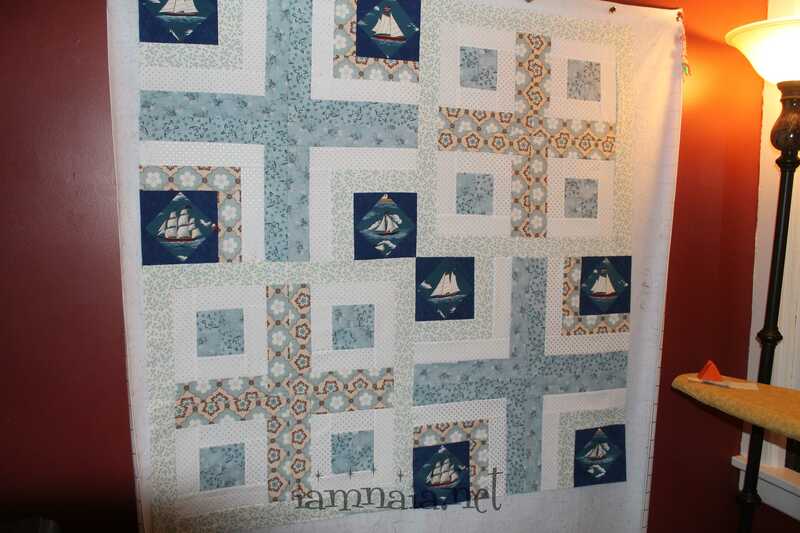 I numbered as I would sew – around the center square. That’s when I start writing down what I need. 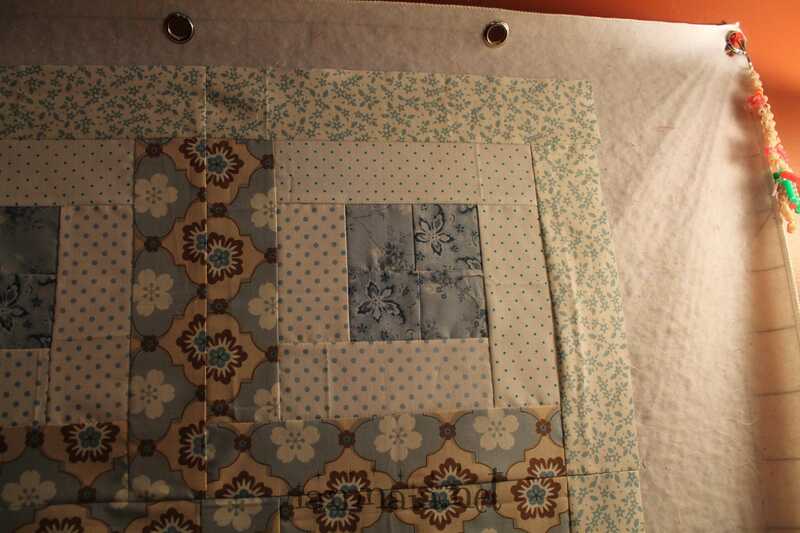 I start from the middle, which would be a 4 1/2″ x 4 1/2″ square. Now, on my drawing, I do not allow for seam allowance. I am drawing out the finished product. When I start figuring out how much fabric and how big, I had a half inch to everything. The center square will be 4″ x 4″ when done, so I write down 4 1/2″ x 4 1/2″ to cut. The second strip would be 4 1/2″ x 2 1/2″ and so on. I did not like the size of that log cabin. I scratched it and created one that was 12 inches square when finished and decided I would make four of these 3/4 Log Cabins per section I need to fill. I call them 3/4 Log Cabins because I did not go around all three times as the typical Log Cabin pattern dictates. I also modified the center to include extra colors. When I was done drawing it all out, I cut the pieces and had Jen sew them together. This was done while my back was hurting so bad I couldn’t sit or stand. She did a great job and the final product is above for you to see. There is a final round on the ones just created. It’s just a light color – deliberate – I wanted it to grab attention. Here is a close up of one of the 12″ x 12″ 3/4 Log Cabins. This is, for the most part, how I do each and every step of whatever pattern I am playing with. I don’t always have a pattern in hand when creating. It’s usually something I drew out from what I’ve seen or thought up on my own. 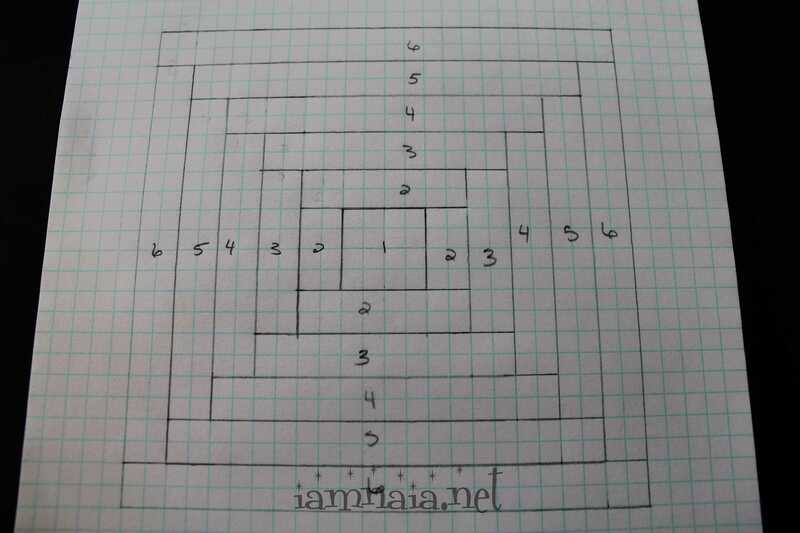 Grab some graph paper and start drawing things out for yourself. You’d be surprised what you can come up with! If you’d like to know more or how to use graph paper for HSTs and such, just ask! I’d love to show ya how I do it!